With a height of 1.8m, Amine Gouiri compares with Olympique Lyon's mean tallness. Amine Gouiri is a right footer just as 69% of Olympique Lyon. He is currently second in group F of UEFA Champions League, eleventh in Int. 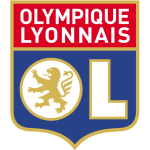 Champions Cup and third in Ligue 1 (France) with his team Olympique Lyon. The French forward Amine Gouiri joined his current team, Olympique Lyon (France), in July 2017. He was used in six of the matches in the present term. Having been born in 2000, on February 16, his age of 19 makes him junior to the average player of Olympique Lyon. At Olympique Lyon, Amine Gouiri is the owner of strip number 19. Before joining Olympique Lyon, he was engaged in the squad of France. Weighing 158.73lb, he measures 3lb less than the average player on Olympique Lyon. Altogether, Amine Gouiri was substituted in 15 and out 4 times. Currently, he entered the pit more than he left it which holds true for last season as well. He reached the 21 appearances milestone as a professionl, the last one being 249 days ago. The contemporary term does not appear to be his best one yet, as he managed to just score four times (0.67 per match) but failed to help his teammates to do so. Not once did Amine Gouiri gain a penalty in his tenure. As for winning percentages, he won with Olympique Lyon only 0% of their home matches (17% in total) in UEFA Champions League, simply 0% of their home matches (33% in total) in Int. Champions Cup and 80% of their home matches (60% in total) in Ligue 1. Olympique Lyon enjoys a 3-game winning streak during the last 5 games of the current season. Four months was the stubbiest period that he was contracted to a team (France from France) Olympique Lyon has eight more forwards in their squad, namely Moussa Dembele, Bertrand Traore, Nabil Fekir, Maxwel Cornet, Memphis Depay, Reo Griffiths, Lenny Pintor and Martin Terrier. One year and 10 months was the maximum period Amine Gouiri ever played in a team, which is his latest one. In terms of top seasons, the U17 European Ch.ship 2017 was his best one yet, breaking one personal record in terms of goals.